Great coffee is truly outrageous; they’re truly, truly outrageous. I had eyed Farley’s before I even arrived in San Francisco. 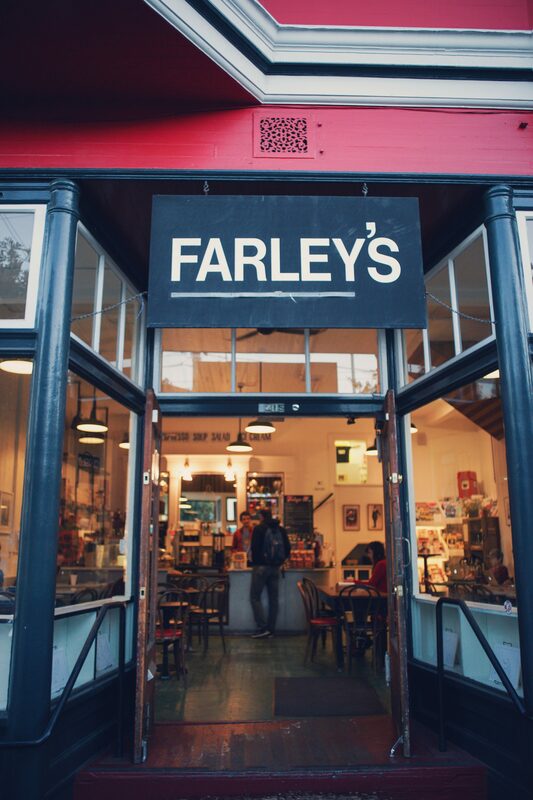 They’re the highest rated coffee shop on Yelp in Potrero Hill, and it’s destiny that the Farleys near me is one of the original third-wave coffeehouses. 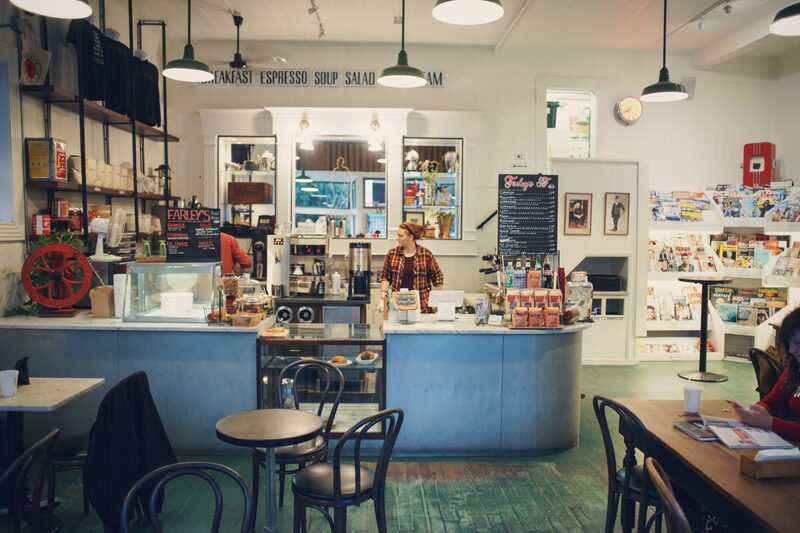 I go in, I ask for an Americano. This is the tradition now. I didn’t have time to sit down today, instead I had to take it to go so I could make it to the San Francisco – Oakland Bay Bridge before it was too dark (spoilers, I didn’t make it before sunset, although I still managed to get some pretty good shots). Funny enough, the barista had family in London, Ontario, as well as Toronto. So of course, I told him to visit DVLB if he ever gets the chance. I got my coffee, I walked aside to put a lid on it. The smell is familiar, and the texture and the consistency are familiar too. I look to see what espresso machine they were using. Of course, it was a La Marzocco. 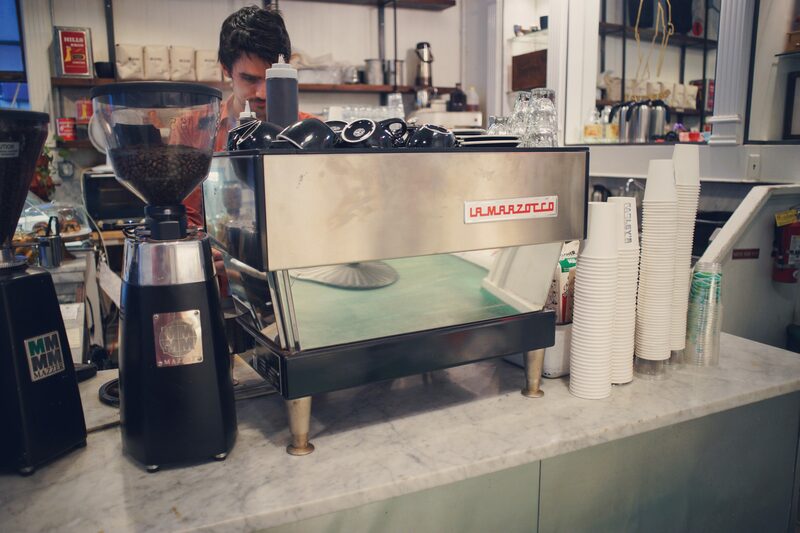 This shop is sporting a La Marzocco Linea Classic – not quite as decked out as DVLB’s F80 series, but it’s still miles ahead of the competition. Of course, the coffee was fantastic. 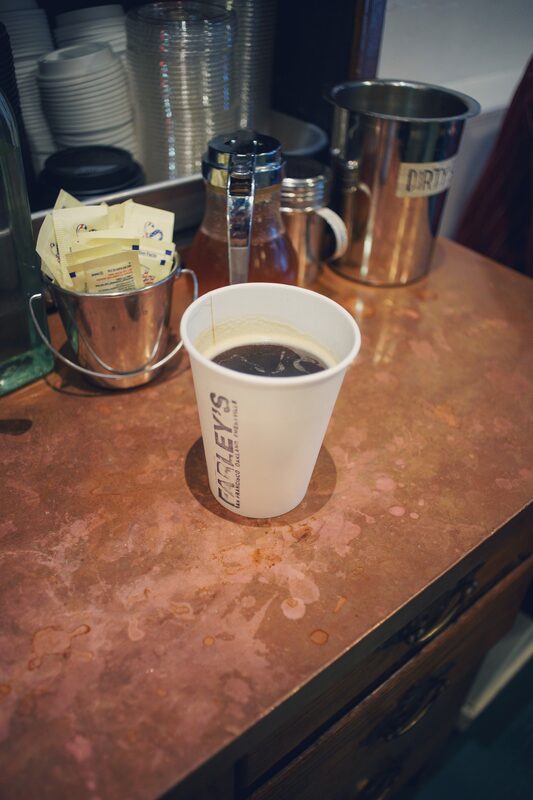 The espresso is perfect: not burnt, not bland. The coffee itself is mild on first sip, and has a semi-sweet aftertaste; no coffee breath (as it should be). If I were to criticize one thing, I would say the beans they’re using are not quite dark enough for espresso. I don’t mean it in the burnt kind way; I had hoped my Americano was just a tad sharper, like the beans from Smile Tiger Roasters (used by DVLB). Price is a bit more expensive as well, the same Americano at DVLB cost $2.95 CAD, but here it’s $3.25 USD (difference of $1.28 CAD after conversion). This is still reasonable however, considering Starbucks would charge about $3.50 USD for a tall cup of Americano at much lower quality. I say bring it on, San Francisco; bring me something to make me not miss DVLB.